Story…. In Ananthapur, a good-hearted man (Sai Kumar) runs a charitable trust in a big bungalow. The trust owns acres of lands that originally belong to a royal family. A corporate guy (Kabir) with the connections in the government tries to occupy the acres of land. A court gives one month time to the trust to prove that the lands belong to the royal family or it would go to the corporate guy. He comes to Hyderabad searching for the members of Royal family. 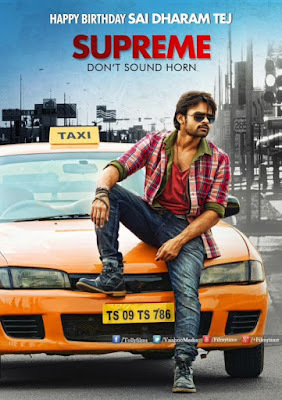 In Hyderabad, we meet a taxi-driver Balu (Sai Dharam Tej) and his father (Rajendra Prasad) who are leading a modest life in a middle-class house.